The Kills at the Commodore Ballroom, Vancouver, May 8 2011. Ashley Tanasiychuk photo. 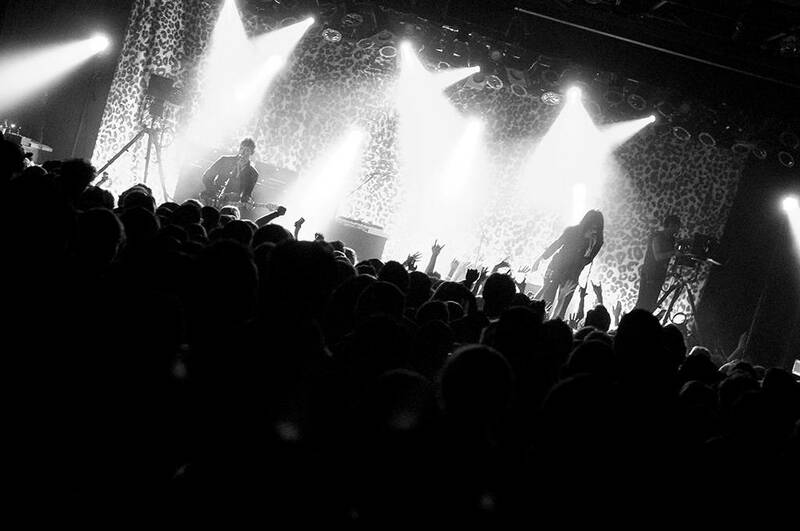 The Kills crowd was pretty mellow at the Commodore Ballroom on Sunday night. But as soon as Alison Mosshart‘s infamous floppy hair flew around the stage during “Tape Song”, the audience was hooked. The concert started and ended with solid tunes (“No Wow” and “Pull A U”) against a back drop of leopard print curtains and sparkly lights. Those lights were blinding during a few songs, but the music was too good for petty things like that to get in the way of enjoying the show. Both Mosshart and Jamie Hince not only had great energy, but incredible stage chemistry as well. Their songs sounded better live than they did on their records. Mosshart climbed up high on the stage during a few songs, and the crowd flipped their hair accordingly during “U R A Fever”. The vocals sounded interesting during “Kissy Kissy” and Hince down tuned his guitar mid-song. Mosshart even played drums on a few tunes. There were a few screw-ups throughout the show but the American/British duo recovered from these errors with ease. 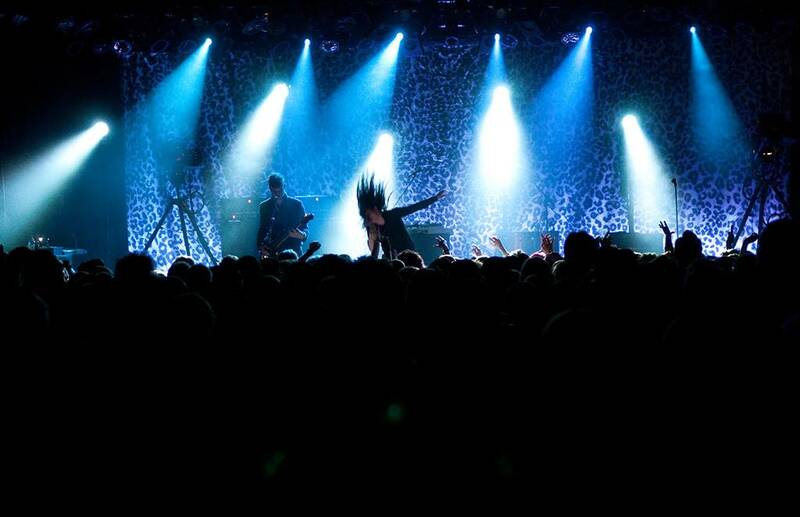 The Kills have a few more stops on their North American tour, including California dates within the next few days. They have been touring in support of their latest album, Blood Pressures. This entry was posted in concert reviews and tagged Commodore Ballroom, the Kills, Vancouver concerts. Bookmark the permalink.